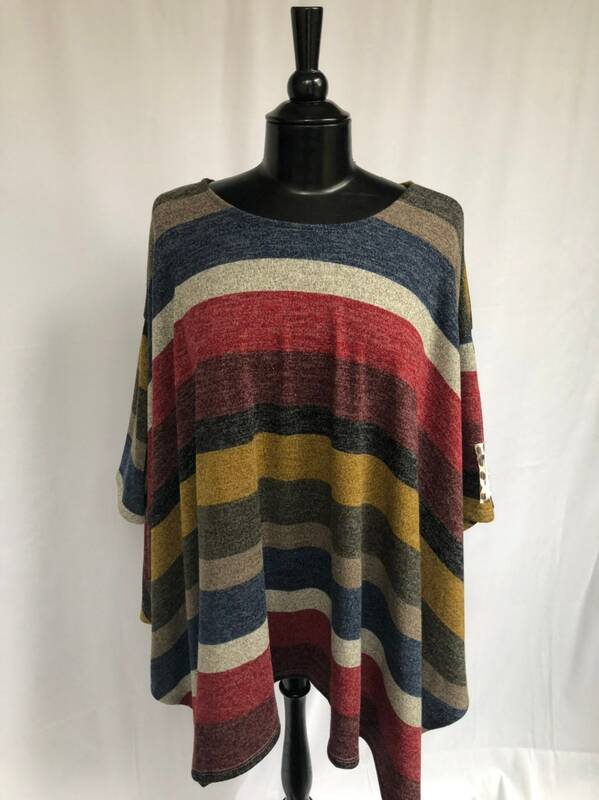 This is a striped poncho with with half sleeves and assymetric hem. The fit is very generous. The fabric is polyester, rayon, and spandex blend. These are sized small, medium, and large. The verse is proverbs 31:25.